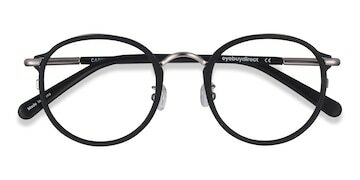 Get a cerebral yet trendy look with Belleville. 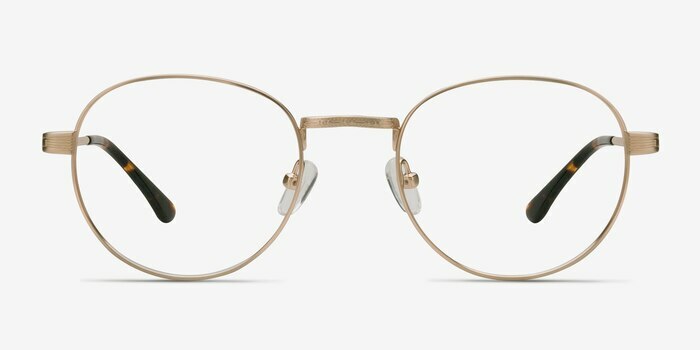 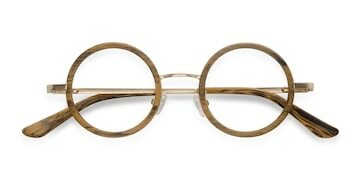 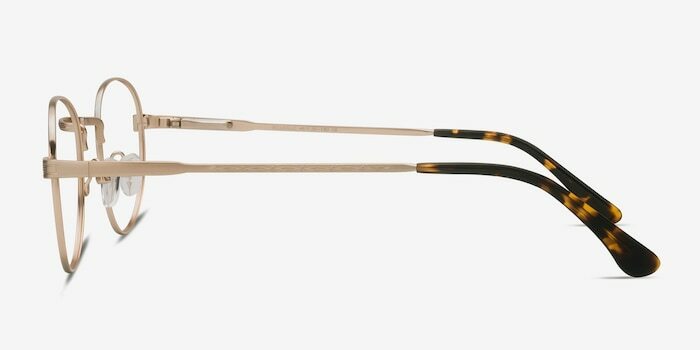 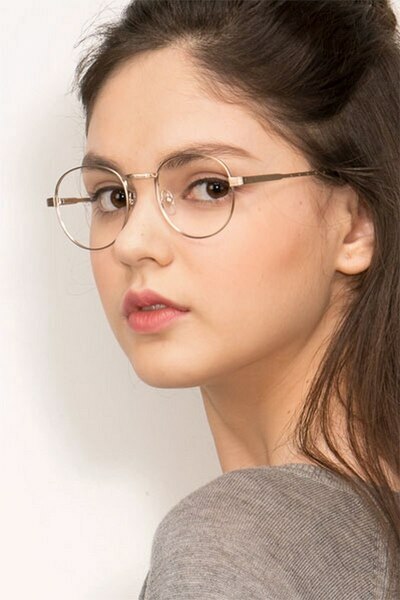 These outsized, round, bright gold eyeglasses gives this style a bookish feel, while quirky detailing at the bridge, hinges, and temples gives an injection of style. 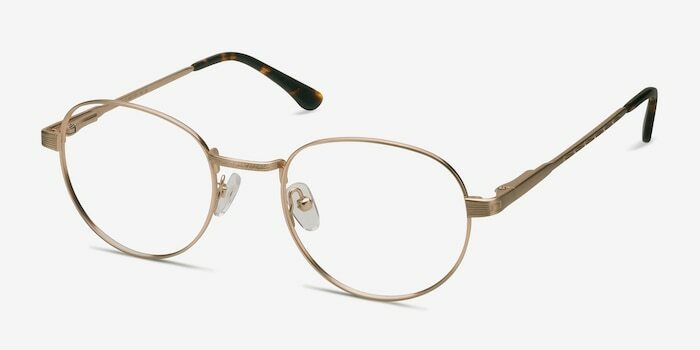 Tortoise temple tips add a retro twist to complete this unique piece. 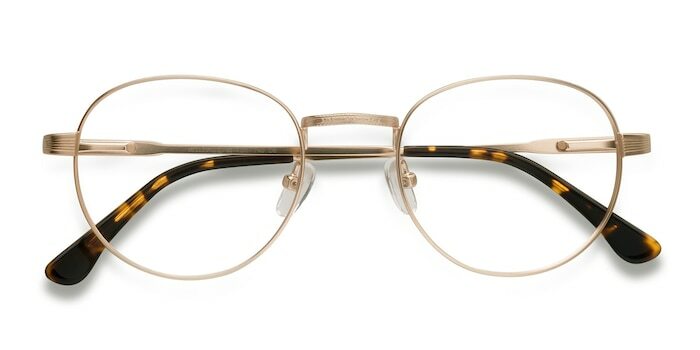 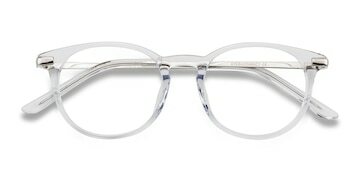 The metal material and spring hinges make this a top quality frame that is both durable and comfortable.